Quadruple Labs: Indoor Cricket: The Next IPL for India? Cricket is a religion in India, one would not oppose this statement even under hypnotized conditions of their minds. Indoor cricket which is truly exciting and a game that wouldn't get abondoned even due to rain, isn't loved as much, may be because of lack of its reach and infrastructure too. Its all about how long we stick to the sport that truly counts in making it a part of the culture of a nation. Its been close to 4 years as we share this with you, that Indoor cricket, through this lovely brand Action Sports, has existed in India. Now Inspiration Unlimited (IU) envisions to take its baby steps in realizing this dream of having Indoor cricket reach every corner of India. We are working hard towards finding out if there is enough craze and zeal in India for this GAME. India is a land of opportunities and of passionate people who would endorse new ideas to try, test and learn unlike before when many a people were closed to new ideas. Lets together fathom the sea of Indoor games really deep and drown into the beauty of these games. Every Industry takes its time to grow. The foothold anywhere only gets stronger with years that passby if the commitment levels are a testimonial for that industry & even others. Indoor cricket is one such platform in Indian Context that hasn't got much recognition equivalently as compared to IPL or other popular names and games have got. Its now a rising industry. 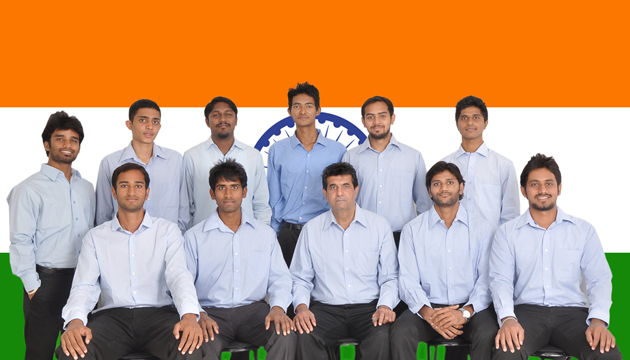 There is already a young budding team of players coming from different backgrounds for Indoor cricket in India. If you attempted to study how they got together to become the Indian Indoor Cricket team, you would go through a maze that would have no parallel to leave you bewildered. These guys have hair-rising stories of how they fought to win every single match for the team and now they are aiming to win it for the country as a team in Sri Lanka. A sport which doesn't quite easily find sponsors because of lack of attention, is something these young boys are putting their time and efforts for, simply to represent the nation and win back pride, as their aint other profits or benefits to strive for. The determination of these boys is of steel, their love for the game is deeper than the deepest beds of ocean and their passion is higher than highest peak of everest. IUeMagazine takes a step forward to recognize their brilliance and reward them with best wishes from all of its readers to win the Title In Sri-Lanka for India and make their way to World Cup in NZ in 2014. GO GO GO!